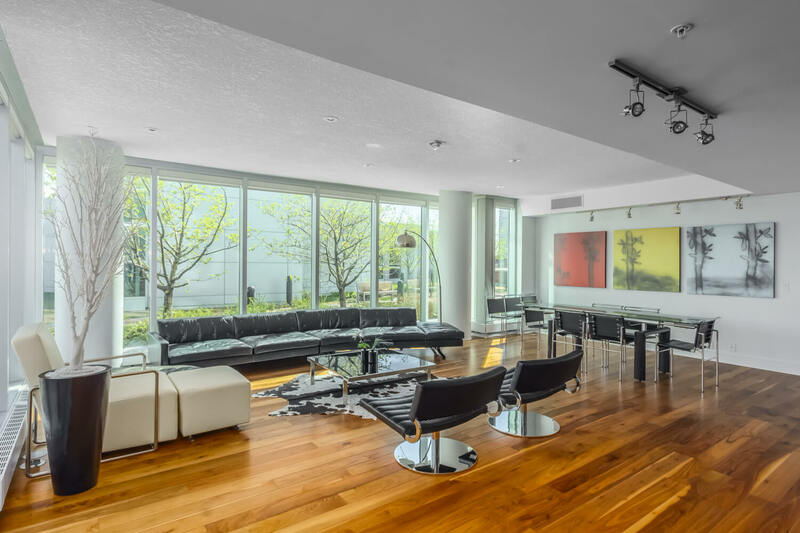 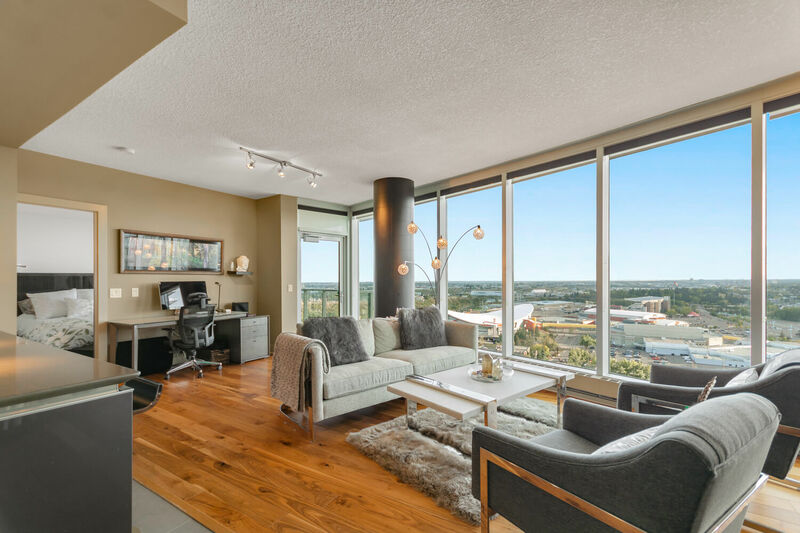 This open plan features beautiful walnut hardwood flooring, 9 foot ceilings and expansive floor-to-ceiling, south facing windows revealing incredible mountain views. 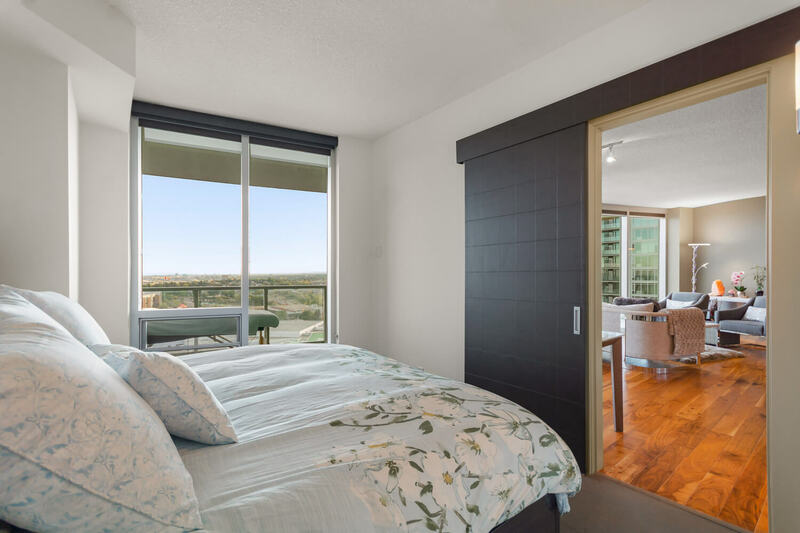 The views continue into the bedroom which boasts a large walk-in closet and access to a 4-piece bathroom with a second entry. 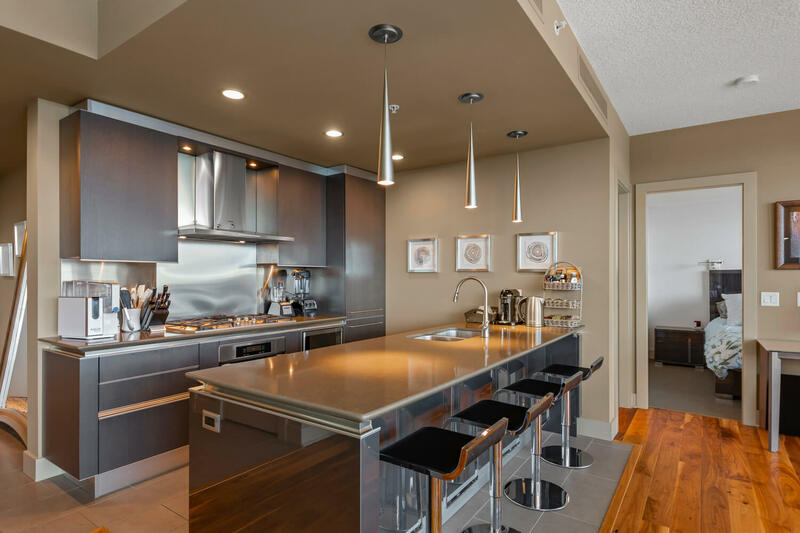 The Italian Snaidero kitchen features upscale integrated Miele appliance package, duo-tone wood/lacquered cabinetry and gorgeous quartz countertops. 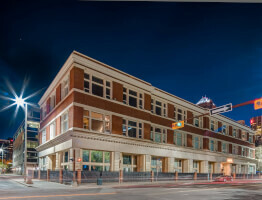 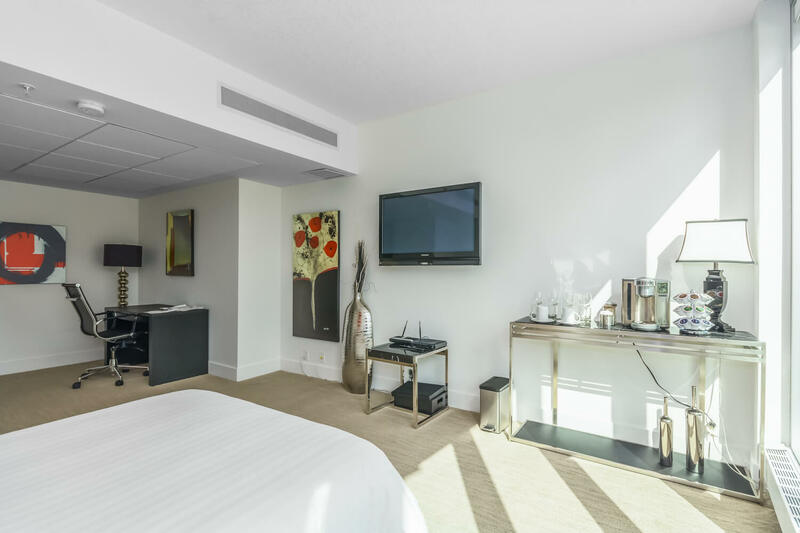 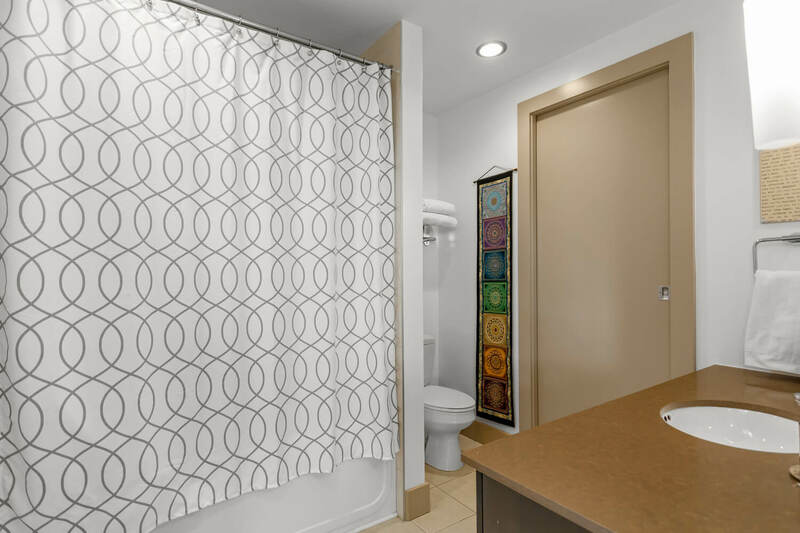 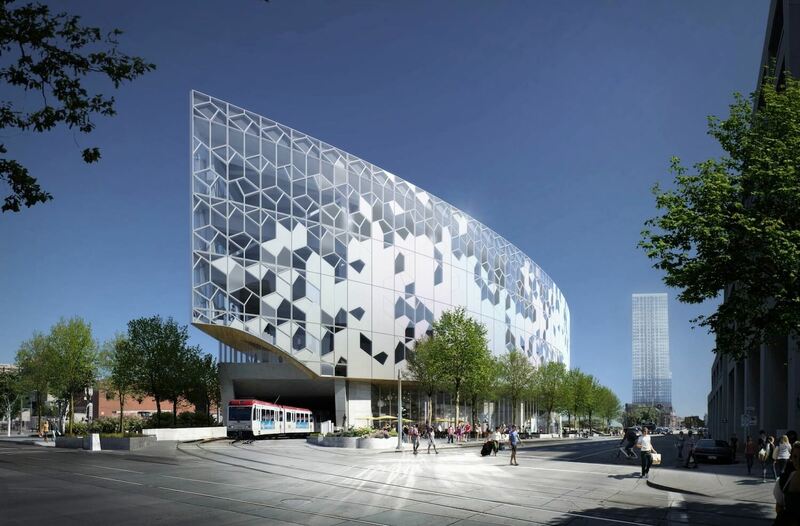 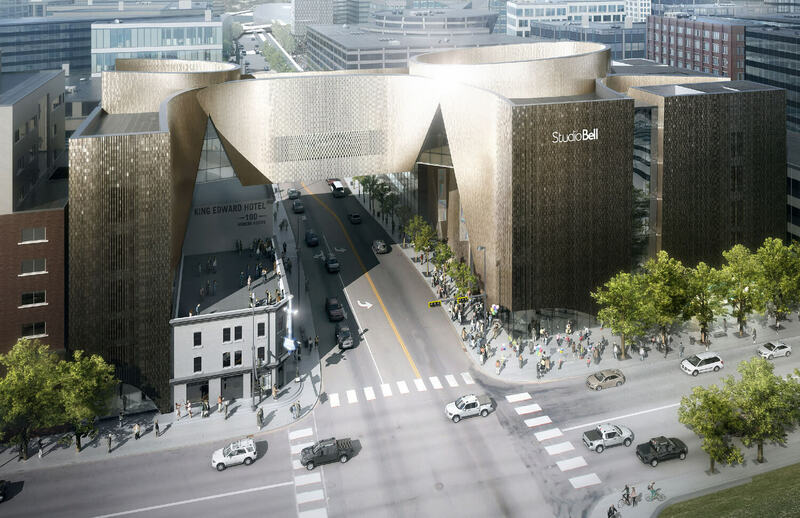 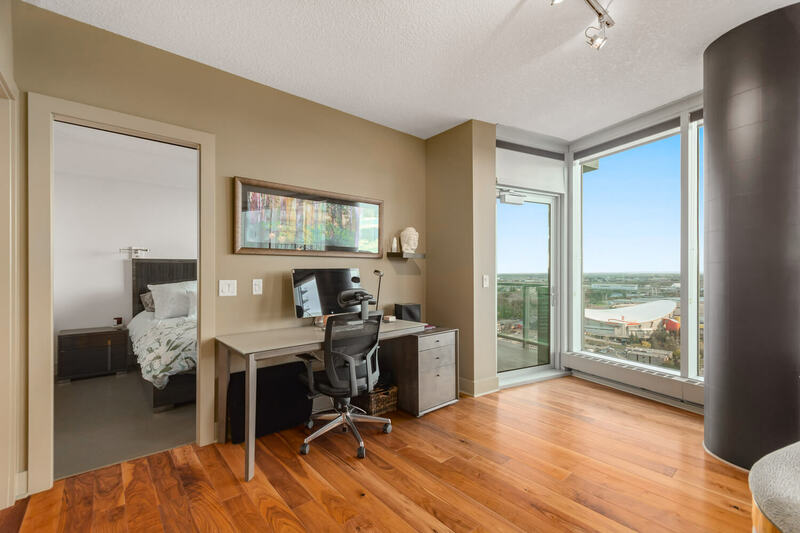 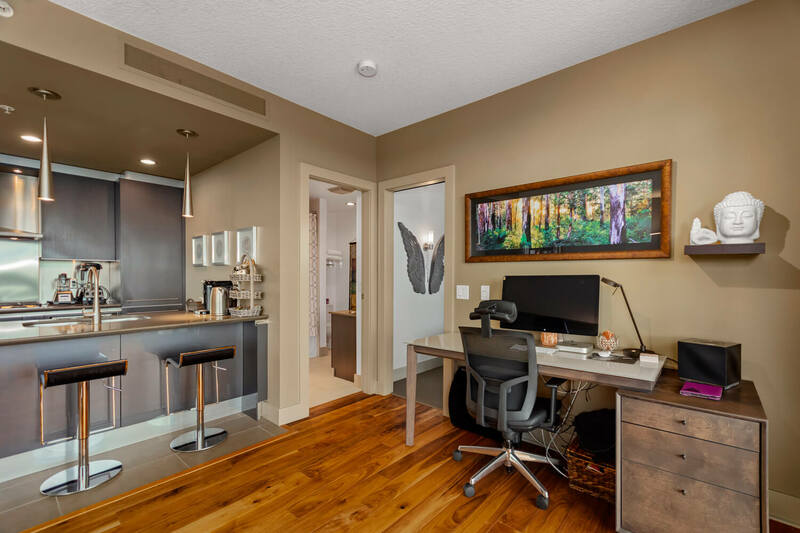 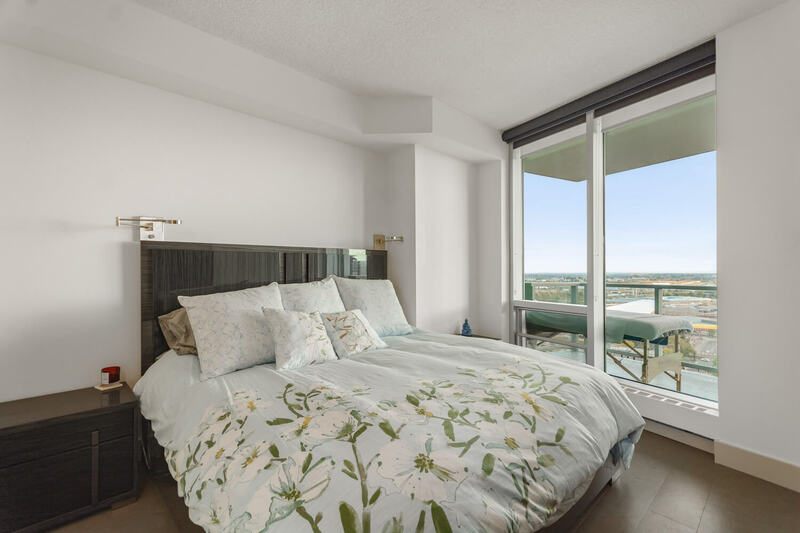 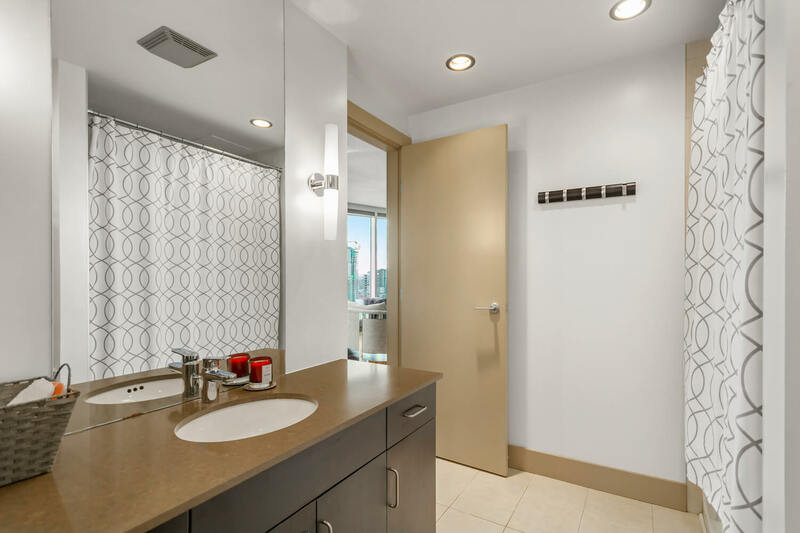 Central air conditioning, a built-in office nook, in-suite laundry, TITLED underground parking stall and additional storage and 24-hour full-time security are also included. 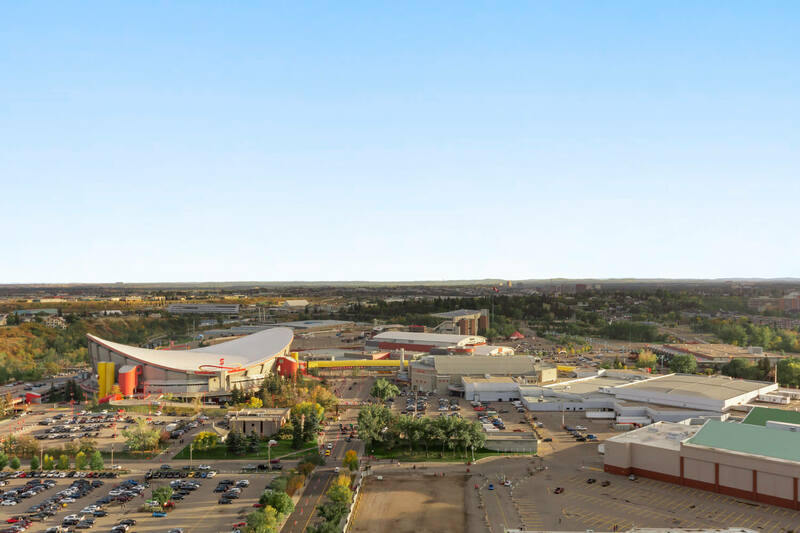 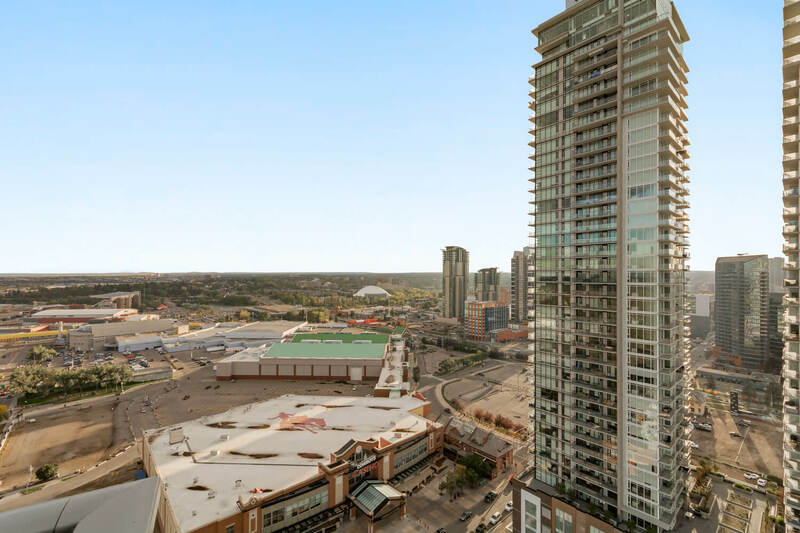 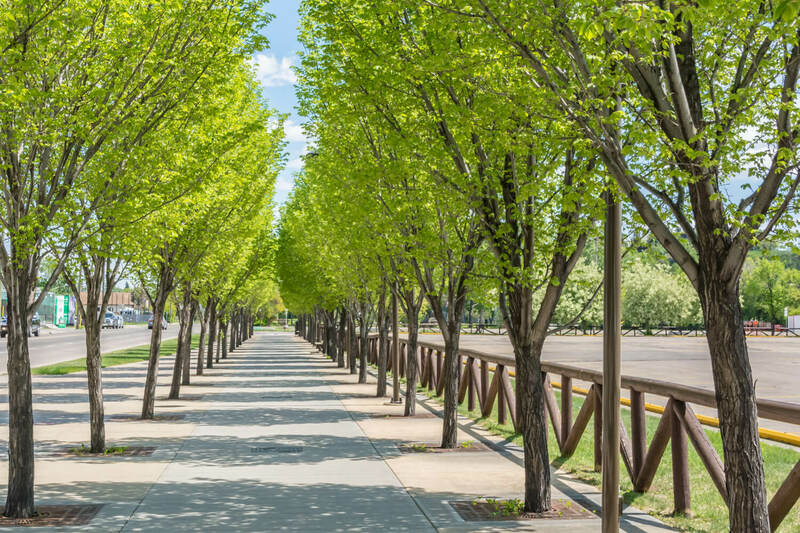 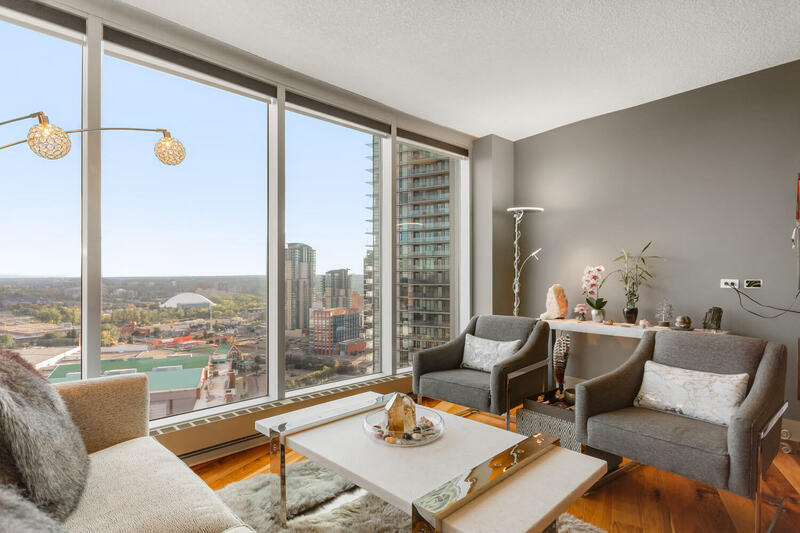 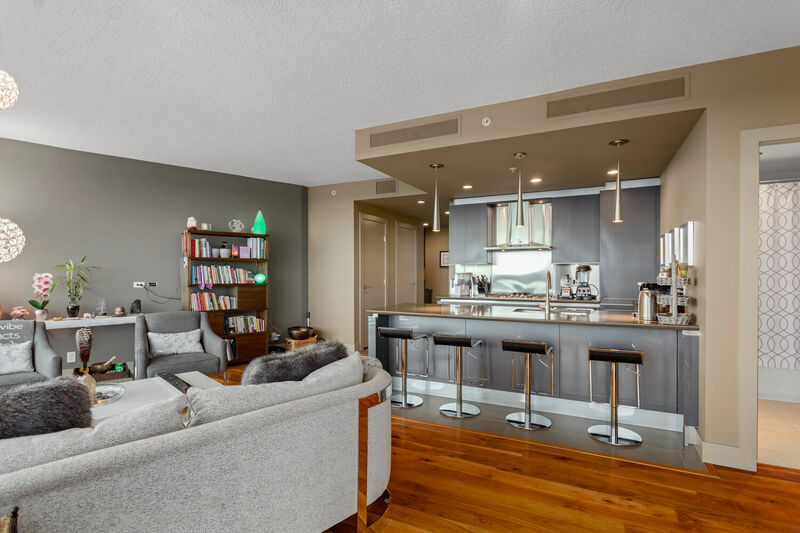 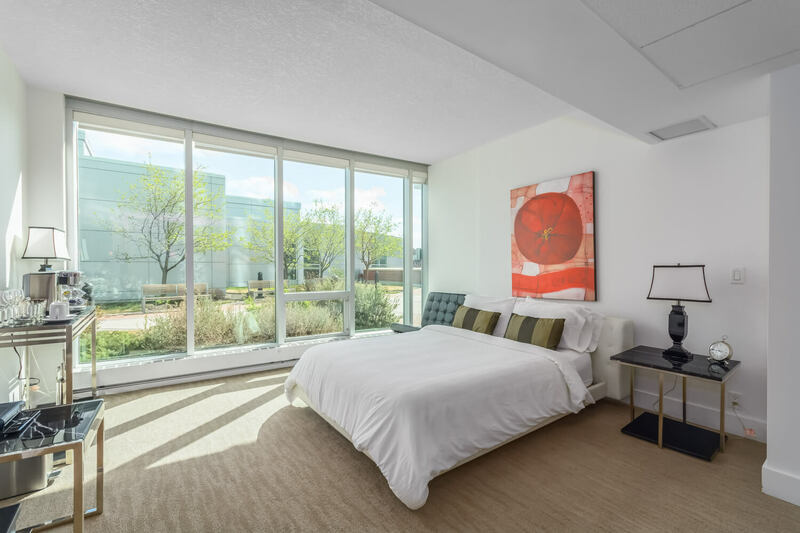 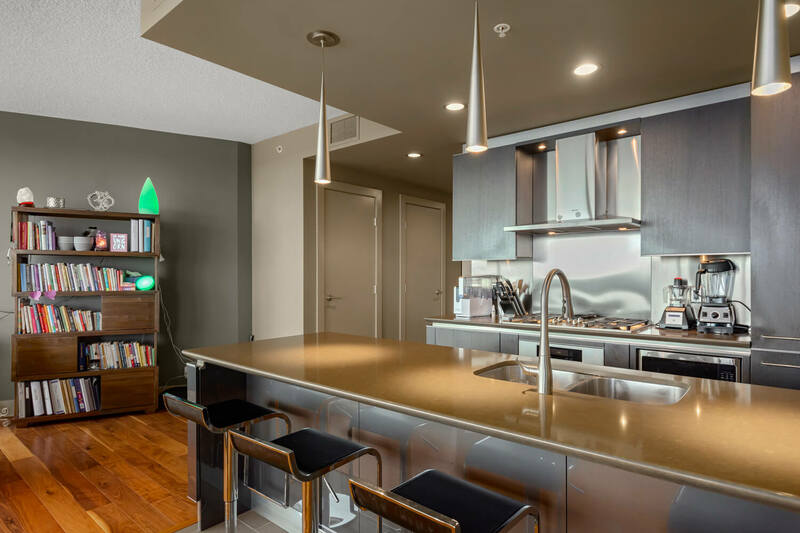 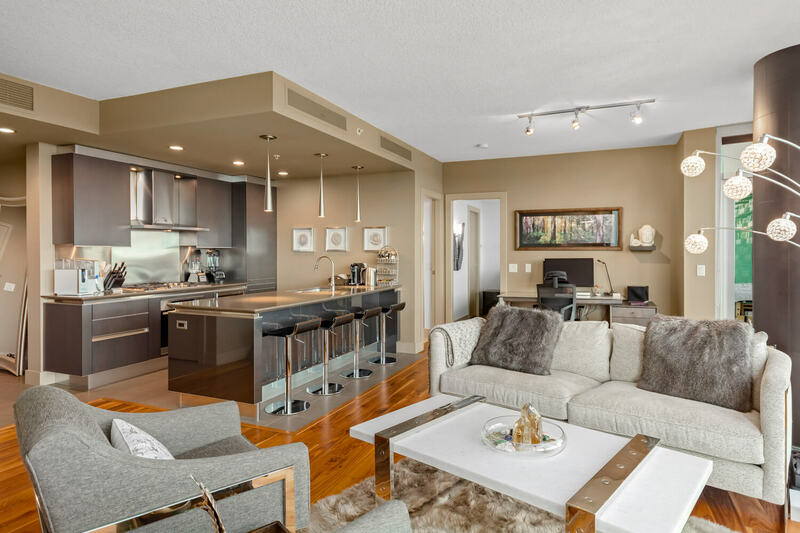 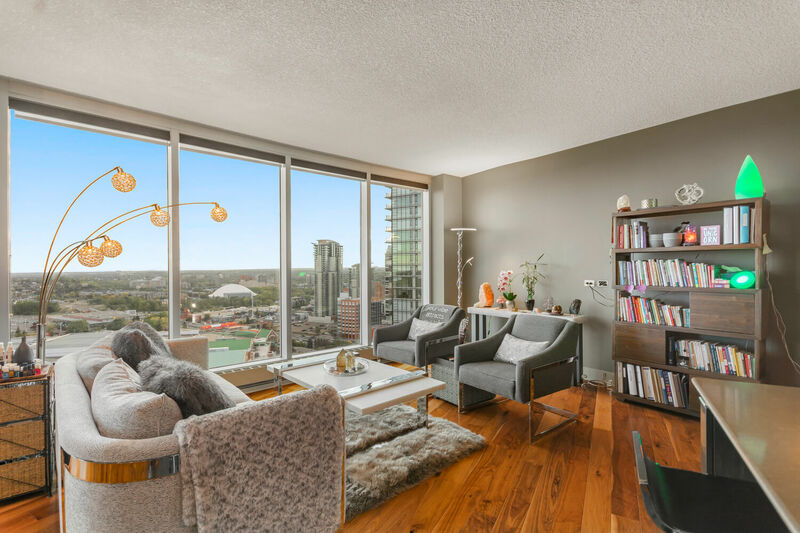 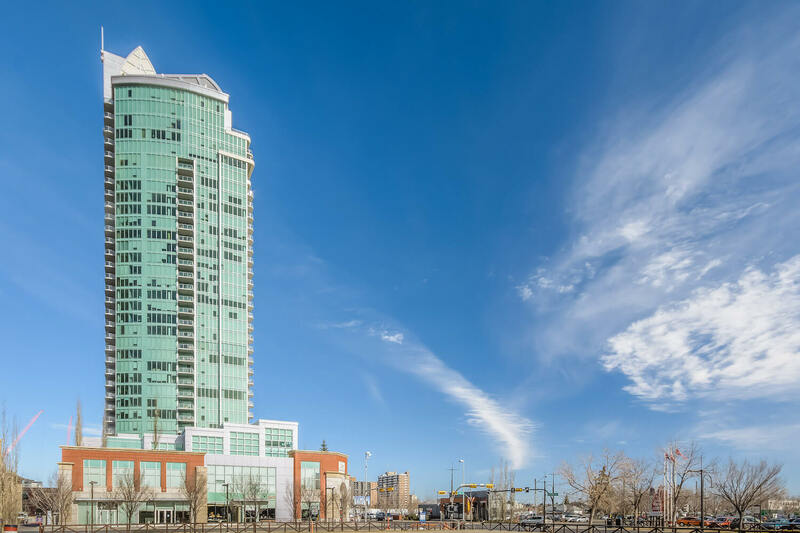 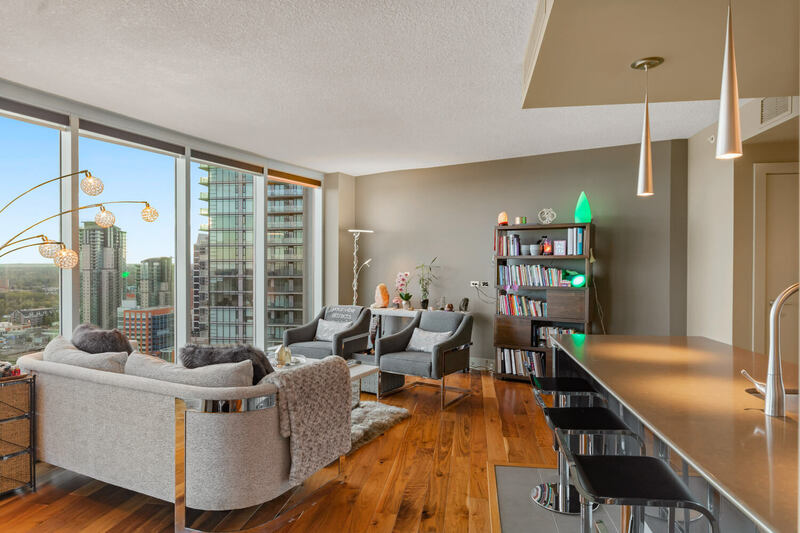 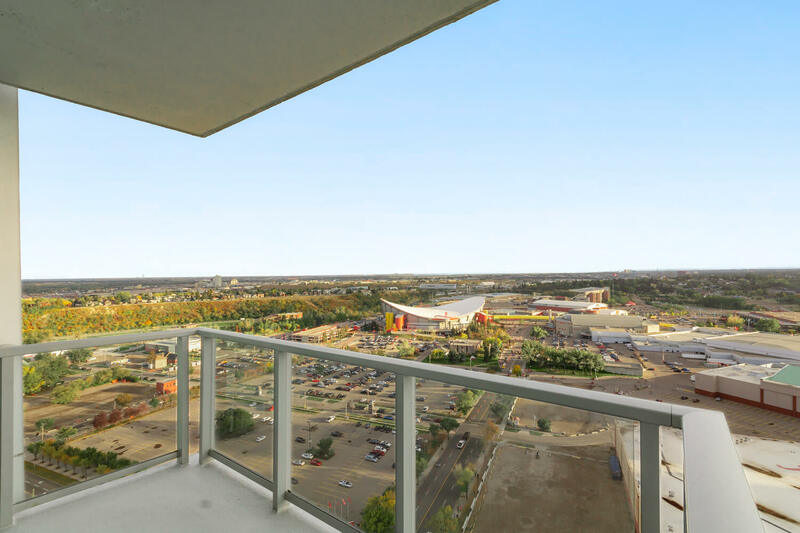 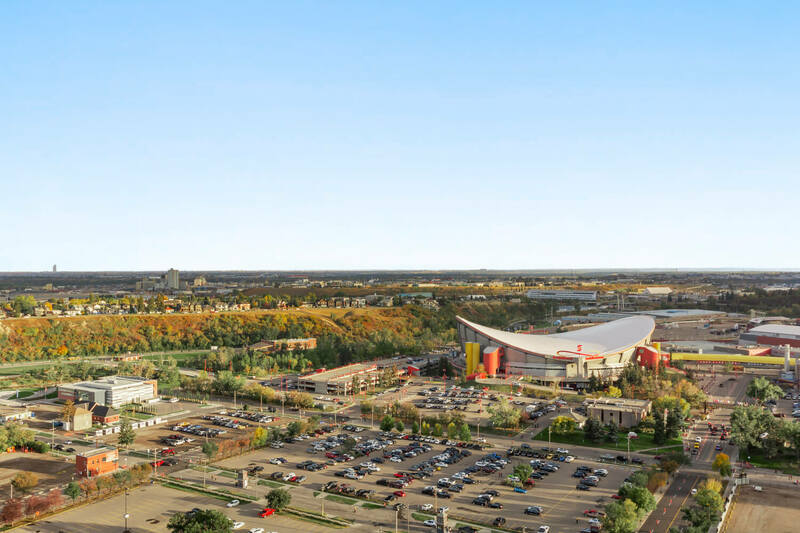 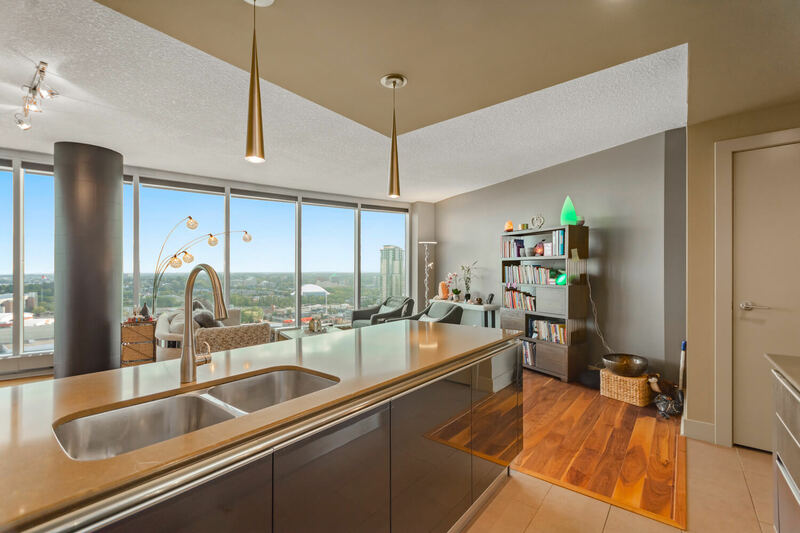 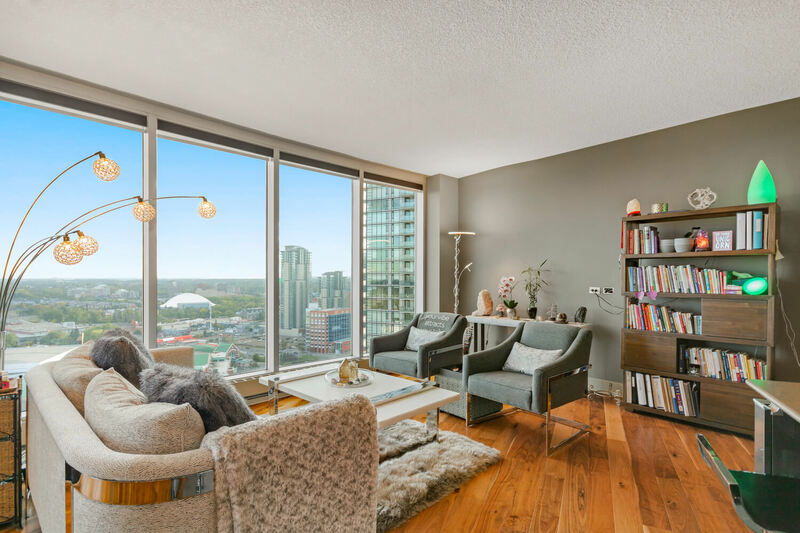 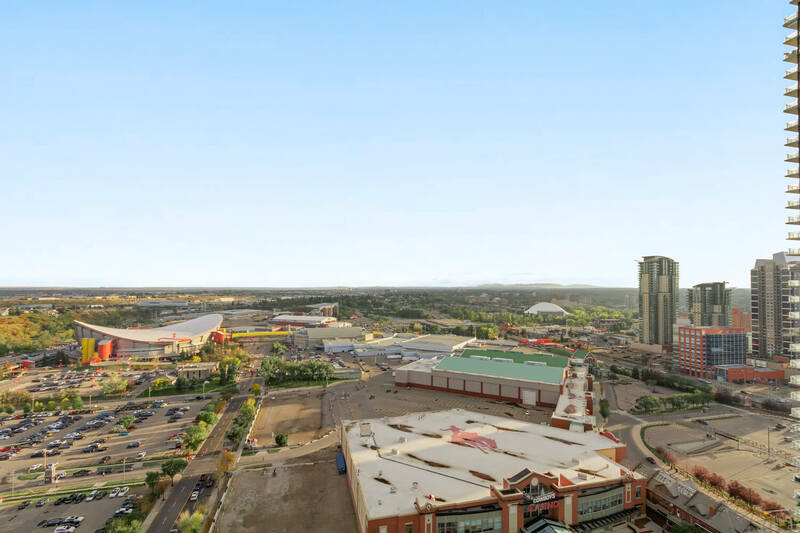 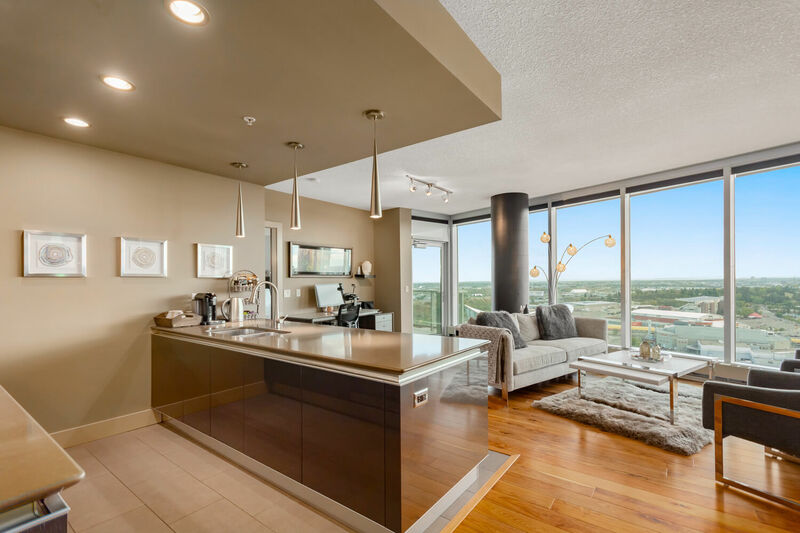 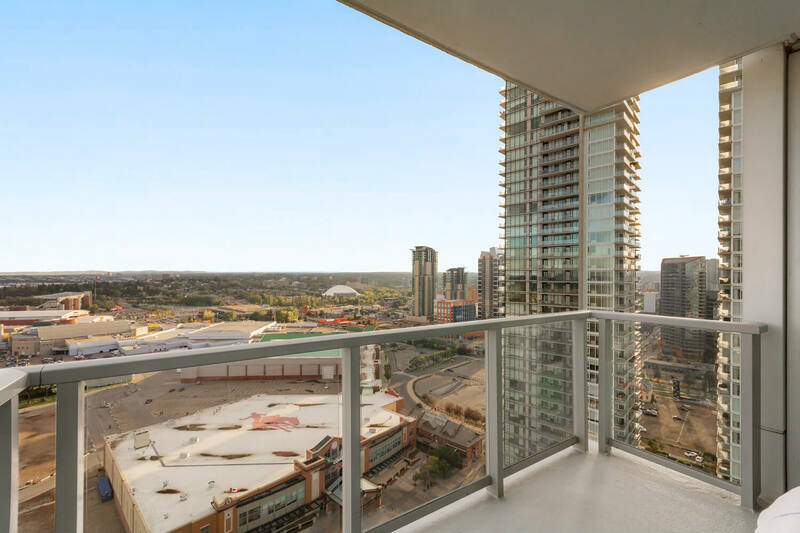 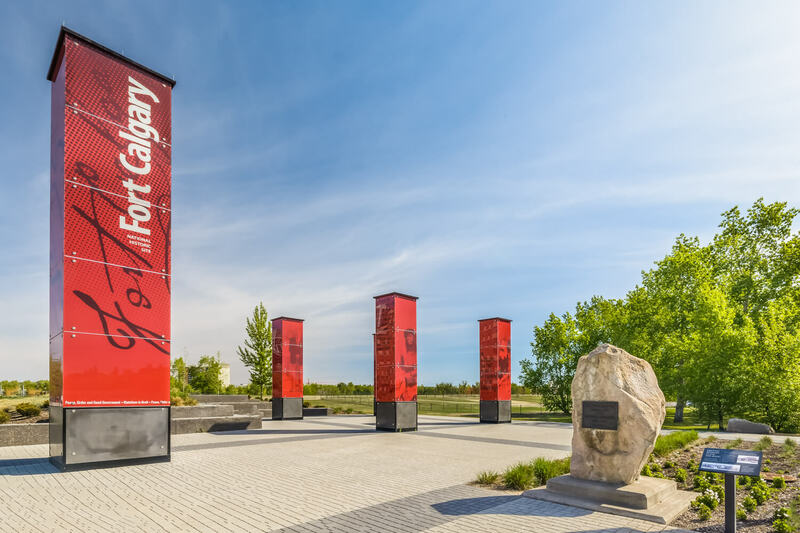 Arriva is positioned within easy walking distance from Downtown and minutes to Inglewood and the Beltline, near some of Calgary's best shopping and dining venues as well as the River pathways and transit. 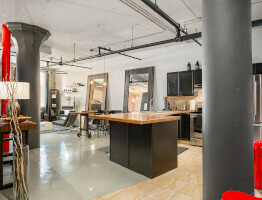 Owner occupied and immaculately kept.